Clean CARFAX. Odometer is 62182 miles below market average! HEMI 5.7L V8 Multi Displacement, 4WD. 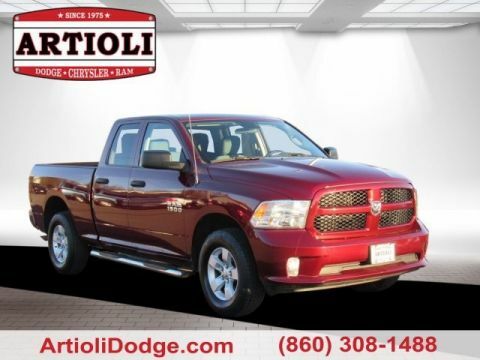 Artioli Chrysler Dodge Ram is proud to offer: Quick Order Package 26B SXT (17" x 8" Chrome Clad Steel Wheels, Bright Grille, Carpet Floor Covering, Front Floor Mats, Speed Control, and SXT Badge), Trailer Tow Group (750 Amp Maintenance Free Battery and Class IV Receiver Hitch), HEMI 5.7L V8 Multi Displacement, 4WD, 17" x 7" Argent Steel Wheels, 3.55 Axle Ratio, 4 Speakers, 4-Wheel Disc Brakes, ABS brakes, Air Conditioning, AM/FM Compact Disc, AM/FM radio, Bodyside Molding, CD player, Delay-off headlights, Driver door bin, Dual front impact airbags, Electronically Controlled Throttle, Front anti-roll bar, Front Center Armrest, Front wheel independent suspension, Heavy Duty Vinyl 40/20/40 Split Bench Seat, Heavy-Duty Engine Cooling, Low tire pressure warning, Mini Floor Console, Next Generation Engine Controller, Passenger cancellable airbag, Passenger door bin, Power steering, Rear step bumper, Sliding Rear Window, Speed-Sensitive Wipers, Tachometer, Tilt steering wheel, Variably intermittent wipers, and Voltmeter. When you’re looking for a new or pre-owned vehicle, you want to shop at the best car dealer. At Artioli Chrysler Dodge Ram, we take pride in being the best in the business while making customer satisfaction our number one goal. We offer a wide range of new, pre-owned, and commercial vehicles to suit your needs, and our knowledgeable staff is ready to help you make the perfect selection. Recent Arrival! Clean CARFAX. Odometer is 4037 miles below market average! Protection Group, Quick Order Package 26H Laramie, Tow Hooks. 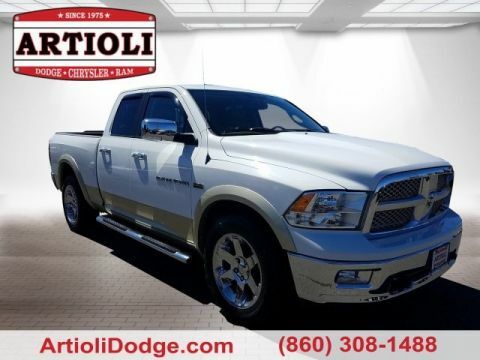 Artioli Chrysler Dodge Ram is proud to offer: Protection Group (Tow Hooks), Quick Order Package 26H Laramie, 10 Speakers, 115V Auxiliary Power Outlet, 20" x 9" Chrome Clad Aluminum Wheels, 3.55 Rear Axle Ratio, 4-Wheel Disc Brakes, ABS brakes, Adjustable pedals, Air Conditioning, Alloy wheels, AM/FM radio: SIRIUS, Audio Jack Input for Mobile Devices, Audio memory, Auto-dimming door mirrors, Auto-dimming Rear-View mirror, Automatic temperature control, Brake assist, Bumpers: chrome, CD player, Chrome Exterior Mirrors, Class IV Receiver Hitch, Compass, Delay-off headlights, Driver door bin, Driver vanity mirror, Dual front impact airbags, DVD-Audio, Electronic Stability Control, Exterior Mirrors Courtesy Lamps, Exterior Mirrors Heating Element, Exterior Mirrors w/Memory, Exterior Mirrors w/Supplemental Signals, Folding Flat Load Floor Storage, Front anti-roll bar, Front Center Armrest w/Storage, Front dual zone A/C, Front fog lights, Front reading lights, Front wheel independent suspension, Fully automatic headlights, Garage door transmitter: HomeLink, Heated door mirrors, Heated Front Seats, Heated front seats, Heated steering wheel, Illuminated entry, Leather steering wheel, Leather Trimmed 40/20/40 Bench Seat, Low tire pressure warning, Memory seat, Mopar Chrome Tubular Side Steps, MP3 decoder, Outside temperature display, Overhead airbag, Overhead console, Panic alarm, ParkView Rear Back-Up Camera, Passenger door bin, Passenger vanity mirror, Pedal memory, Power 10-Way Memory Driver & 6-Way Passenger Seats, Power door mirrors, Power driver seat, Power passenger seat, Power steering, Power Sunroof, Power windows, Radio data system, Radio: Media Center 430 CD/DVD/MP3/HDD, Rear 60/40 Split Folding Seat, Rear anti-roll bar, Rear Parking Sensors, Rear step bumper, Remote keyless entry, Remote Start System, Remote USB Port, Security system, Speed control, Split folding rear seat, Spray In Bedliner, Steering wheel mounted audio controls, Tachometer, Tilt steering wheel, Traction control, Trailer Brake Control, Trip computer, Turn signal indicator mirrors, Uconnect® Voice Command w/Bluetooth®, Variably intermittent wipers, and Voltmeter. When you’re looking for a new or pre-owned vehicle, you want to shop at the best car dealer. At Artioli Chrysler Dodge Ram, we take pride in being the best in the business while making customer satisfaction our number one goal. 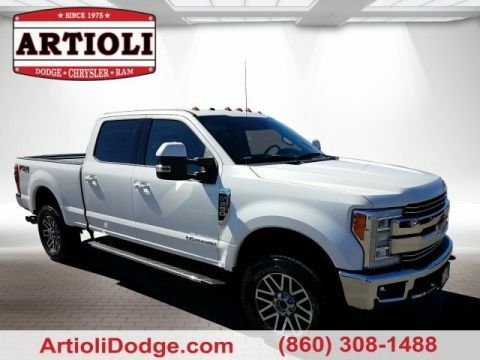 We offer a wide range of new, pre-owned, and commercial vehicles to suit your needs, and our knowledgeable staff is ready to help you make the perfect selection. CARFAX One-Owner. Clean CARFAX. Certified. Priced below KBB Fair Purchase Price! Odometer is 6228 miles below market average! 1-Year SIRIUSXM Radio Service, 40/20/40 Split Bench Seat, Cloth 40/20/40 Bench Seat, For More Info, Call 800-643-2112, Front Armrest w/Three Cupholders, No Satellite Coverage w/AK/HI, Popular Equipment Group, Rear Folding Seat, Remote Keyless Entry w/All-Secure, SIRIUSXM Satellite Radio. 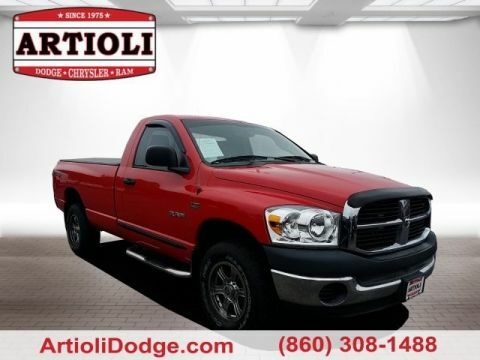 Artioli Chrysler Dodge Ram is proud to offer: Popular Equipment Group (1-Year SIRIUSXM Radio Service, 40/20/40 Split Bench Seat, Cloth 40/20/40 Bench Seat, For More Info, Call 800-643-2112, Front Armrest w/Three Cupholders, No Satellite Coverage w/AK/HI, Rear Folding Seat, Remote Keyless Entry w/All-Secure, and SIRIUSXM Satellite Radio), FCA US Certified Pre-Owned Certified, 20" x 9" Chrome Clad Aluminum Wheels, 3.21 Rear Axle Ratio, 4-Wheel Disc Brakes, 6 Speakers, ABS brakes, Active Grille Shutters, Air Conditioning, AM/FM radio, Black Exterior Mirrors, Brake assist, Center Hub, Delay-off headlights, Driver door bin, Dual front impact airbags, Dual front side impact airbags, Electronic Shift, Electronic Stability Control, Exterior Mirrors w/Heating Element, Front anti-roll bar, Front Center Armrest, Front wheel independent suspension, Fully automatic headlights, Heated door mirrors, Heavy Duty Vinyl 40/20/40 Split Bench Seat, Low tire pressure warning, Media Hub (USB, AUX), Occupant sensing airbag, Overhead airbag, ParkView Rear Back-Up Camera, Passenger door bin, Power door mirrors, Power steering, Power windows, Radio data system, Radio: Uconnect 3.0 AM/FM, Rear anti-roll bar, Rear step bumper, Speed control, Tachometer, Tilt steering wheel, Tip Start, Traction control, Variably intermittent wipers, and Voltmeter. When you’re looking for a new or pre-owned vehicle, you want to shop at the best car dealer. At Artioli Chrysler Dodge Ram, we take pride in being the best in the business while making customer satisfaction our number one goal. We offer a wide range of new, pre-owned, and commercial vehicles to suit your needs, and our knowledgeable staff is ready to help you make the perfect selection. CARFAX One-Owner. Clean CARFAX. Certified. Priced below KBB Fair Purchase Price! 1-Year SiriusXM Radio Service, 40/20/40 Split Bench Seat, Body Color Front Fascia, Body Color Grille, Body Color Rear Bumper w/Step Pads, Carpet Floor Covering, Center Hub, Cloth 40/20/40 Bench Seat, Delete Class IV Receiver Hitch, Delete Spray In Bedliner, Fog Lamps, For More Info, Call 800-643-2112, Front & Rear Floor Mats, Front Armrest w/3 Cupholders, No Satellite Coverage w/AK/HI/PR/VI, Popular Equipment Group, Quick Order Package 22J Express, Ram 1500 Express, Rear Folding Seat, Remote Keyless Entry w/All-Secure, SiriusXM Satellite Radio. 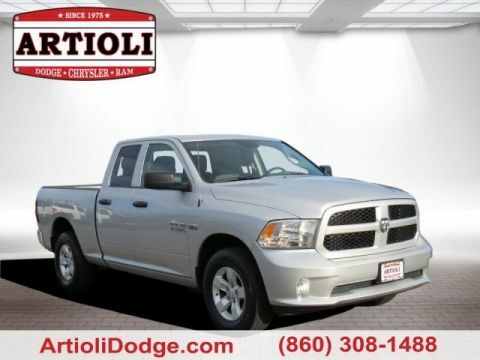 Artioli Chrysler Dodge Ram is proud to offer: Popular Equipment Group (1-Year SiriusXM Radio Service, 40/20/40 Split Bench Seat, Cloth 40/20/40 Bench Seat, For More Info, Call 800-643-2112, Front Armrest w/3 Cupholders, No Satellite Coverage w/AK/HI/PR/VI, Rear Folding Seat, Remote Keyless Entry w/All-Secure, and SiriusXM Satellite Radio), Quick Order Package 22J Express (Body Color Front Fascia, Body Color Grille, Body Color Rear Bumper w/Step Pads, Carpet Floor Covering, Center Hub, Delete Class IV Receiver Hitch, Delete Spray In Bedliner, Fog Lamps, Front & Rear Floor Mats, and Ram 1500 Express), FCA US Certified Pre-Owned Certified, 3.21 Rear Axle Ratio, 32 Gallon Fuel Tank, 4-Wheel Disc Brakes, 6 Speakers, ABS brakes, Active Grille Shutters, Add Class IV Receiver Hitch, Air Conditioning, AM/FM radio, Audio Jack Input for Mobile Devices, Black Exterior Mirrors, Brake assist, Delay-off headlights, Driver door bin, Dual front impact airbags, Dual front side impact airbags, Electronic Shift, Electronic Stability Control, Exterior Mirrors w/Heating Element, Front anti-roll bar, Front Center Armrest, Front wheel independent suspension, Fully automatic headlights, Heated door mirrors, Heavy Duty Vinyl 40/20/40 Split Bench Seat, LED Bed Lighting, Low tire pressure warning, Media Hub (USB, AUX), Occupant sensing airbag, Overhead airbag, Overhead Console, Passenger door bin, Power door mirrors, Power steering, Power windows, Radio data system, Radio: 3.0, Radio: Uconnect 3 w/5" Display, Rear anti-roll bar, Rear step bumper, Remote USB Port, Rotary Shifter-Black, Speed control, Tachometer, Tilt steering wheel, Tip Start, Traction control, Variably intermittent wipers, and Voltmeter. When you’re looking for a new or pre-owned vehicle, you want to shop at the best car dealer. At Artioli Chrysler Dodge Ram, we take pride in being the best in the business while making customer satisfaction our number one goal. We offer a wide range of new, pre-owned, and commercial vehicles to suit your needs, and our knowledgeable staff is ready to help you make the perfect selection. CARFAX One-Owner. Certified. 1-Year SiriusXM Radio Service, 40/20/40 Split Bench Seat, Body Color Front Fascia, Body Color Grille, Body Color Rear Bumper w/Step Pads, Carpet Floor Covering, Center Hub, Cloth 40/20/40 Bench Seat, Delete Class IV Receiver Hitch, Delete Spray In Bedliner, Fog Lamps, For More Info, Call 800-643-2112, Front & Rear Floor Mats, Front Armrest w/3 Cupholders, No Satellite Coverage w/AK/HI/PR/VI, Popular Equipment Group, Quick Order Package 22J Express, Ram 1500 Express, Rear Folding Seat, Remote Keyless Entry w/All-Secure, SiriusXM Satellite Radio. 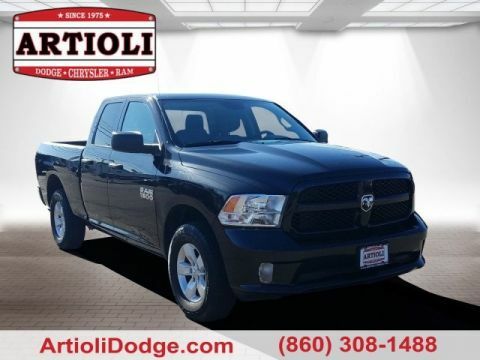 Artioli Chrysler Dodge Ram is proud to offer: Popular Equipment Group (1-Year SiriusXM Radio Service, 40/20/40 Split Bench Seat, Cloth 40/20/40 Bench Seat, For More Info, Call 800-643-2112, Front Armrest w/3 Cupholders, No Satellite Coverage w/AK/HI/PR/VI, Rear Folding Seat, Remote Keyless Entry w/All-Secure, and SiriusXM Satellite Radio), Quick Order Package 22J Express (Body Color Front Fascia, Body Color Grille, Body Color Rear Bumper w/Step Pads, Carpet Floor Covering, Center Hub, Delete Class IV Receiver Hitch, Delete Spray In Bedliner, Fog Lamps, Front & Rear Floor Mats, and Ram 1500 Express), FCA US Certified Pre-Owned Certified, 3.21 Rear Axle Ratio, 4-Wheel Disc Brakes, 6 Speakers, ABS brakes, Active Grille Shutters, Add Class IV Receiver Hitch, Air Conditioning, AM/FM radio, Audio Jack Input for Mobile Devices, Black Exterior Mirrors, Brake assist, Delay-off headlights, Driver door bin, Dual front impact airbags, Dual front side impact airbags, Electronic Shift, Electronic Stability Control, Exterior Mirrors w/Heating Element, Front anti-roll bar, Front Center Armrest, Front wheel independent suspension, Fully automatic headlights, Heated door mirrors, Heavy Duty Vinyl 40/20/40 Split Bench Seat, Low tire pressure warning, Media Hub (USB, AUX), Occupant sensing airbag, Overhead airbag, Passenger door bin, Power door mirrors, Power steering, Power windows, Radio data system, Radio: 3.0, Rear anti-roll bar, Rear step bumper, Remote USB Port, Rotary Shifter-Black, Speed control, Tachometer, Tilt steering wheel, Tip Start, Traction control, Variably intermittent wipers, and Voltmeter. When you’re looking for a new or pre-owned vehicle, you want to shop at the best car dealer. At Artioli Chrysler Dodge Ram, we take pride in being the best in the business while making customer satisfaction our number one goal. We offer a wide range of new, pre-owned, and commercial vehicles to suit your needs, and our knowledgeable staff is ready to help you make the perfect selection. CARFAX One-Owner. Clean CARFAX. Certified. 1-Year SIRIUSXM Radio Service, 40/20/40 Split Bench Seat, Body Color Front Fascia, Body Color Grille, Body Color Rear Bumper w/Step Pads, Carpet Floor Covering, Center Hub, Cloth 40/20/40 Bench Seat, Delete Class IV Receiver Hitch, Delete Spray In Bedliner, Fog Lamps, For More Info, Call 800-643-2112, Front & Rear Floor Mats, Front Armrest w/3 Cupholders, No Satellite Coverage w/AK/HI, Popular Equipment Group, Quick Order Package 27J Express, Ram 1500 Express, Rear Folding Seat, Remote Keyless Entry w/All-Secure, SIRIUSXM Satellite Radio. 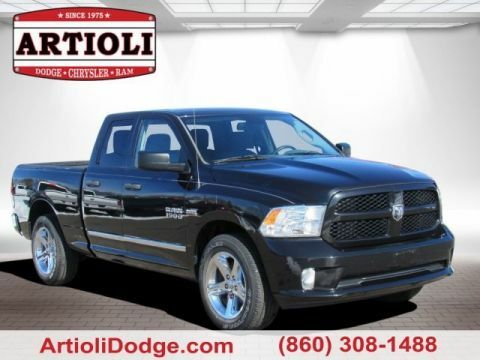 Artioli Chrysler Dodge Ram is proud to offer: Popular Equipment Group (1-Year SIRIUSXM Radio Service, 40/20/40 Split Bench Seat, Cloth 40/20/40 Bench Seat, For More Info, Call 800-643-2112, Front Armrest w/3 Cupholders, No Satellite Coverage w/AK/HI, Rear Folding Seat, Remote Keyless Entry w/All-Secure, and SIRIUSXM Satellite Radio), Quick Order Package 27J Express (Body Color Front Fascia, Body Color Grille, Body Color Rear Bumper w/Step Pads, Carpet Floor Covering, Center Hub, Delete Class IV Receiver Hitch, Delete Spray In Bedliner, Fog Lamps, Front & Rear Floor Mats, and Ram 1500 Express), FCA US Certified Pre-Owned Certified, 3.21 Rear Axle Ratio, 32 Gallon Fuel Tank, 4-Wheel Disc Brakes, 6 Speakers, ABS brakes, Active Grille Shutters, Add Class IV Receiver Hitch, Air Conditioning, AM/FM radio, Audio Jack Input for Mobile Devices, Black Exterior Mirrors, Brake assist, Delay-off headlights, Driver door bin, Dual front impact airbags, Dual front side impact airbags, Electronic Shift, Electronic Stability Control, Exterior Mirrors w/Heating Element, Front anti-roll bar, Front Center Armrest, Front wheel independent suspension, Fully automatic headlights, Heated door mirrors, Heavy Duty Vinyl 40/20/40 Split Bench Seat, Low tire pressure warning, Media Hub (USB, AUX), Occupant sensing airbag, Overhead airbag, ParkView Rear Back-Up Camera, Passenger door bin, Power door mirrors, Power steering, Power windows, Radio data system, Radio: Uconnect 3.0 AM/FM, Radio: Uconnect 5.0, Rear anti-roll bar, Rear step bumper, Remote USB Port, Rotary Shifter-Black, Single Disc Remote CD Player, Speed control, Tachometer, Tilt steering wheel, Tip Start, Traction control, Trailer Brake Control, Variably intermittent wipers, and Voltmeter. When you’re looking for a new or pre-owned vehicle, you want to shop at the best car dealer. At Artioli Chrysler Dodge Ram, we take pride in being the best in the business while making customer satisfaction our number one goal. We offer a wide range of new, pre-owned, and commercial vehicles to suit your needs, and our knowledgeable staff is ready to help you make the perfect selection. CARFAX One-Owner. Clean CARFAX. Certified. Priced below KBB Fair Purchase Price! Odometer is 3510 miles below market average! 1-Year SIRIUSXM Radio Service, 40/20/40 Split Bench Seat, 4x4 Flat Black Badge, 5.0" Touchscreen Display, Audio Jack Input for Mobile Devices, Black Headlamp Bezels, Black Painted Honeycomb Grille, Black Ram 1500 Express Group, Black Ram Head Tailgate Badge, Charge Only Remote USB Port, Cloth 40/20/40 Bench Seat, Delete Hemi Badge, Flat Black Ram 1500 Badge, For More Info, Call 800-643-2112, Front Armrest w/3 Cupholders, GPS Antenna Input, Integrated Voice Command w/Bluetooth, Media Hub (USB, AUX), No Satellite Coverage w/AK/HI, Overhead Console, Popular Equipment Group, Radio: Uconnect 5.0, Rear Folding Seat, Rear View Mirror w/Microphone, Remote Keyless Entry w/All-Secure, Remote USB Port, SIRIUSXM Satellite Radio, Temperature & Compass Gauge, Wheels: 20" x 8" Semi-Gloss Black Aluminum. Artioli Chrysler Dodge Ram is proud to offer: Black Ram 1500 Express Group (4x4 Flat Black Badge, 5.0" Touchscreen Display, Audio Jack Input for Mobile Devices, Black Headlamp Bezels, Black Painted Honeycomb Grille, Black Ram Head Tailgate Badge, Charge Only Remote USB Port, Delete Hemi Badge, Flat Black Ram 1500 Badge, GPS Antenna Input, Integrated Voice Command w/Bluetooth, Media Hub (USB, AUX), Overhead Console, Radio: Uconnect 5.0, Rear View Mirror w/Microphone, Remote USB Port, Temperature & Compass Gauge, and Wheels: 20" x 8" Semi-Gloss Black Aluminum), Popular Equipment Group (1-Year SIRIUSXM Radio Service, 40/20/40 Split Bench Seat, Cloth 40/20/40 Bench Seat, For More Info, Call 800-643-2112, Front Armrest w/3 Cupholders, No Satellite Coverage w/AK/HI, Rear Folding Seat, Remote Keyless Entry w/All-Secure, and SIRIUSXM Satellite Radio), FCA US Certified Pre-Owned Certified, 3.21 Rear Axle Ratio, 3.92 Rear Axle Ratio, 32 Gallon Fuel Tank, 4-Wheel Disc Brakes, 6 Speakers, ABS brakes, Active Grille Shutters, Add Class IV Receiver Hitch, Add Spray In Bedliner, Air Conditioning, AM/FM radio, Anti-Spin Differential Rear Axle, Black Exterior Mirrors, Brake assist, Delay-off headlights, Driver door bin, Dual front impact airbags, Dual front side impact airbags, Electronic Shift, Electronic Stability Control, Exterior Mirrors w/Heating Element, Front & Rear Rubber Floor Mats, Front anti-roll bar, Front Center Armrest, Front wheel independent suspension, Fully automatic headlights, Heated door mirrors, Heavy Duty Vinyl 40/20/40 Split Bench Seat, LED Bed Lighting, Low tire pressure warning, Occupant sensing airbag, Overhead airbag, ParkView Rear Back-Up Camera, Passenger door bin, Power door mirrors, Power steering, Power windows, Radio data system, Radio: Uconnect 3.0 AM/FM, RamBox Cargo Management System, Rear anti-roll bar, Rear step bumper, Rotary Shifter-Black, Single Disc Remote CD Player, Speed control, Tachometer, Tilt steering wheel, Tip Start, Traction control, Trailer Brake Control, Variably intermittent wipers, and Voltmeter. When you’re looking for a new or pre-owned vehicle, you want to shop at the best car dealer. At Artioli Chrysler Dodge Ram, we take pride in being the best in the business while making customer satisfaction our number one goal. We offer a wide range of new, pre-owned, and commercial vehicles to suit your needs, and our knowledgeable staff is ready to help you make the perfect selection. CARFAX One-Owner. Clean CARFAX. Certified. Odometer is 2586 miles below market average! 1-Year SIRIUSXM Radio Service, 40/20/40 Split Bench Seat, Body Color Front Fascia, Body Color Grille, Body Color Rear Bumper w/Step Pads, Carpet Floor Covering, Center Hub, Cloth 40/20/40 Bench Seat, Delete Class IV Receiver Hitch, Delete Spray In Bedliner, Fog Lamps, For More Info, Call 800-643-2112, Front & Rear Floor Mats, Front Armrest w/3 Cupholders, No Satellite Coverage w/AK/HI, Popular Equipment Group, Quick Order Package 27J Express, Ram 1500 Express, Rear Folding Seat, Remote Keyless Entry w/All-Secure, SIRIUSXM Satellite Radio. 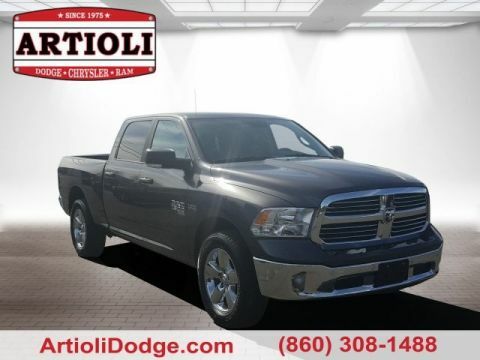 Artioli Chrysler Dodge Ram is proud to offer: Popular Equipment Group (1-Year SIRIUSXM Radio Service, 40/20/40 Split Bench Seat, Cloth 40/20/40 Bench Seat, For More Info, Call 800-643-2112, Front Armrest w/3 Cupholders, No Satellite Coverage w/AK/HI, Rear Folding Seat, Remote Keyless Entry w/All-Secure, and SIRIUSXM Satellite Radio), Quick Order Package 27J Express (Body Color Front Fascia, Body Color Grille, Body Color Rear Bumper w/Step Pads, Carpet Floor Covering, Center Hub, Delete Class IV Receiver Hitch, Delete Spray In Bedliner, Fog Lamps, Front & Rear Floor Mats, and Ram 1500 Express), Chrysler Group Certified Pre-Owned Certified, 3.21 Rear Axle Ratio, 4-Wheel Disc Brakes, 6 Speakers, ABS brakes, Active Grille Shutters, Add Class IV Receiver Hitch, Air Conditioning, AM/FM radio, Audio Jack Input for Mobile Devices, Black Exterior Mirrors, Brake assist, Delay-off headlights, Driver door bin, Dual front impact airbags, Dual front side impact airbags, Electronic Shift, Electronic Stability Control, Exterior Mirrors w/Heating Element, Front anti-roll bar, Front Center Armrest, Front wheel independent suspension, Fully automatic headlights, Heated door mirrors, Heavy Duty Vinyl 40/20/40 Split Bench Seat, Low tire pressure warning, Media Hub (USB, AUX), Occupant sensing airbag, Overhead airbag, Passenger door bin, Power door mirrors, Power steering, Power windows, Radio data system, Radio: Uconnect 3.0 AM/FM, Rear anti-roll bar, Rear step bumper, Remote USB Port, Rotary Shifter-Black, Single Disc Remote CD Player, Speed control, Tachometer, Tilt steering wheel, Tip Start, Traction control, Variably intermittent wipers, and Voltmeter. When you’re looking for a new or pre-owned vehicle, you want to shop at the best car dealer. At Artioli Chrysler Dodge Ram, we take pride in being the best in the business while making customer satisfaction our number one goal. We offer a wide range of new, pre-owned, and commercial vehicles to suit your needs, and our knowledgeable staff is ready to help you make the perfect selection. Recent Arrival! CARFAX One-Owner. Artioli Chrysler Dodge Ram is proud to offer: Luxury Group (Auto-Dimming Exterior Mirrors, Exterior Mirrors Courtesy Lamps, Exterior Mirrors w/Supplemental Signals, Fold-Away Power Heated Mirrors, Glove Box Lamp, Leather Wrapped Steering Wheel, Overhead Console w/UGDO, Rear Dome w/On/Off Switch Lamp, Steering Wheel Mounted Audio Controls, Sun Visors w/Illuminated Vanity Mirrors, Underhood Lamp, and Universal Garage Door Opener), Quick Order Package 26P Power Wagon, Technology Group (9 Amplified Speakers w/Subwoofer), 4.56 Rear Axle Ratio, 40GB Hard Drive w/20GB Available, 40GB Hard Drive w/28GB Available, 4-Wheel Disc Brakes, 6 Speakers, 6.5" Touch Screen Display, ABS brakes, Air Conditioning, Alloy wheels, AM/FM radio, Auto-dimming Rear-View mirror, Black Exterior Mirrors, Black Power Trailer Tow Mirrors, Bumpers: chrome, CD player, Cloth 40/20/40 Bench Seat, Compass, Delay-off headlights, Driver door bin, Dual front impact airbags, Dual front side impact airbags, Electronic Stability Control, Exterior Mirrors w/Heating Element, Front & Rear Rubber Floor Mats, Front anti-roll bar, Front Center Armrest w/Storage, Front fog lights, Front reading lights, Fully automatic headlights, Garmin Navigation System, Heated door mirrors, Illuminated entry, Locking Tailgate, Low tire pressure warning, MP3 decoder, Occupant sensing airbag, Outside temperature display, Overhead airbag, Overhead console, Panic alarm, ParkView Rear Back-Up Camera, Passenger door bin, Passenger vanity mirror, Power door mirrors, Power steering, Power Sunroof, Power windows, Radio data system, Radio: Uconnect 130 AM/FM/CD/MP3, Radio: Uconnect 430N CD/DVD/MP3/HDD/NAV, Rear seat center armrest, Rear step bumper, Remote keyless entry, Remote Start System, Security Alarm, SIRIUSXM Travel Link, Speed control, Tachometer, Tilt steering wheel, Traction control, Trip computer, Variably intermittent wipers, and Voltmeter. When you’re looking for a new or pre-owned vehicle, you want to shop at the best car dealer. 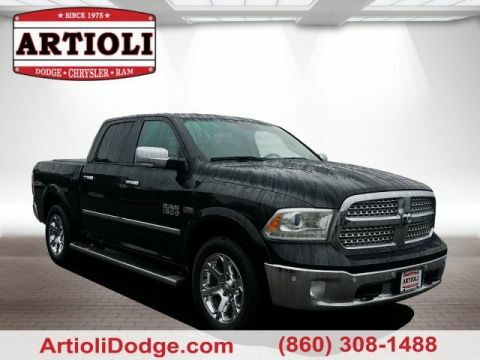 At Artioli Chrysler Dodge Ram, we take pride in being the best in the business while making customer satisfaction our number one goal. We offer a wide range of new, pre-owned, and commercial vehicles to suit your needs, and our knowledgeable staff is ready to help you make the perfect selection. CARFAX One-Owner. Clean CARFAX. Certified. Priced below KBB Fair Purchase Price! 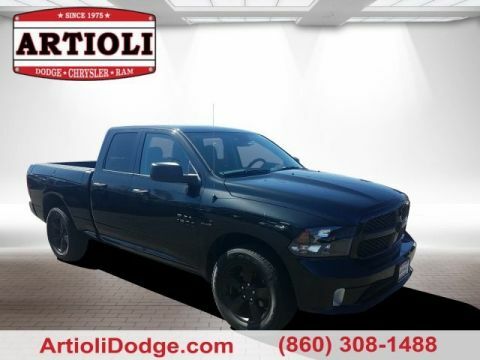 Artioli Chrysler Dodge Ram is proud to offer: FCA US Certified Pre-Owned Certified, 3.21 Rear Axle Ratio, 40/20/40 Split Bench Seat, 4-Wheel Disc Brakes, 6 Speakers, ABS brakes, Air Conditioning, AM/FM radio: SiriusXM, Black Exterior Mirrors, Brake assist, Bumpers: chrome, Center Hub, Compass, Delay-off headlights, Driver door bin, Dual front impact airbags, Dual front side impact airbags, Electronic Stability Control, Exterior Mirrors w/Heating Element, Front anti-roll bar, Front Armrest w/3 Cupholders, Front Center Armrest w/Storage, Front reading lights, Front wheel independent suspension, Fully automatic headlights, GPS Antenna Input, Heated door mirrors, Illuminated entry, Integrated Voice Command w/Bluetooth, Low tire pressure warning, Manufacturer's Statement of Origin, Occupant sensing airbag, Outside temperature display, Overhead airbag, Overhead console, Panic alarm, Passenger door bin, Passenger vanity mirror, Power door mirrors, Power steering, Power windows, Radio data system, Rear anti-roll bar, Rear seat center armrest, Rear step bumper, Remote keyless entry, Remote USB Port - Charge Only, Speed control, Storage Tray, Tachometer, Tilt steering wheel, Traction control, Trip computer, Variably intermittent wipers, Voltmeter, and Wheels: 20" x 8" Aluminum Chrome Clad. When you’re looking for a new or pre-owned vehicle, you want to shop at the best car dealer. At Artioli Chrysler Dodge Ram, we take pride in being the best in the business while making customer satisfaction our number one goal. We offer a wide range of new, pre-owned, and commercial vehicles to suit your needs, and our knowledgeable staff is ready to help you make the perfect selection. Recent Arrival! CARFAX One-Owner. Clean CARFAX. Certified. 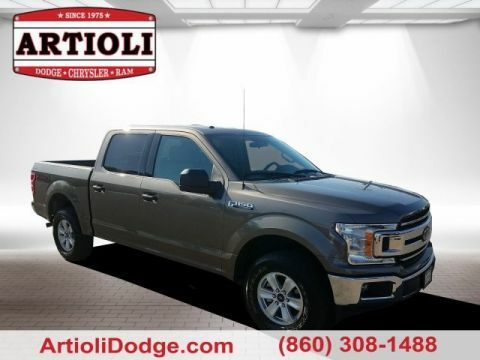 Auto High Beam Headlamp Control, Convenience Group, Keyless Enter-N-Go, Protection Group, Quick Order Package 26H Laramie, Rain Sensitive Windshield Wipers, Remote Proximity Keyless Entry, Tow Hooks. 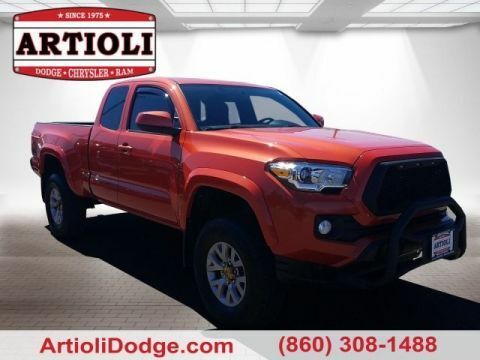 Artioli Chrysler Dodge Ram is proud to offer: Convenience Group (Auto High Beam Headlamp Control, Keyless Enter-N-Go, Rain Sensitive Windshield Wipers, and Remote Proximity Keyless Entry), Protection Group (Tow Hooks), Quick Order Package 26H Laramie, FCA US Certified Pre-Owned Certified, 10 Speakers, 115V Auxiliary Power Outlet, 20" x 9" Chrome Clad Aluminum Wheels, 3.21 Rear Axle Ratio, 32 Gallon Fuel Tank, 4-Corner Air Suspension, 4-Wheel Disc Brakes, 5-Year SIRIUSXM Travel Link Service, 8.4" Touchscreen Display, ABS brakes, Active Grille Shutters, Adjustable pedals, Air Conditioning, AM/FM radio, Anti-Spin Differential Rear Axle, Audio memory, Auto-dimming door mirrors, Auto-dimming Rear-View mirror, Automatic temperature control, Brake assist, Bumpers: chrome, Chrome Bodyside Molding, Compass, Delay-off headlights, Driver door bin, Driver vanity mirror, Dual front impact airbags, Dual front side impact airbags, Electronic Shift, Electronic Stability Control, Emergency communication system, Folding Flat Load Floor Storage, Front & Rear Rubber Floor Mats, Front anti-roll bar, Front Center Armrest w/Storage, Front dual zone A/C, Front fog lights, Front reading lights, Front wheel independent suspension, Fully automatic headlights, Garage door transmitter, GPS Antenna Input, HD Radio, Heated door mirrors, Heated Front Seats, Heated front seats, Heated steering wheel, High Back Seats, Illuminated entry, Integrated Voice Command w/Bluetooth, Leather steering wheel, Leather Trim 40/20/40 Bench Seat, LED Bed Lighting, Low tire pressure warning, Media Hub (SD, USB, AUX), Memory seat, Occupant sensing airbag, Outside temperature display, Overhead airbag, Overhead console, Panic alarm, ParkSense Front/Rear Park Assist System, Passenger door bin, Passenger vanity mirror, Pedal memory, Power 10-Way Memory Driver & 6-Way Passenger Seats, Power door mirrors, Power driver seat, Power passenger seat, Power steering, Power Sunroof, Power windows, Radio data system, Radio: Uconnect 8.4, Radio: Uconnect 8.4 NAV, RamBox Cargo Management System, Rear 60/40 Split Folding Seat, Rear anti-roll bar, Rear seat center armrest, Rear step bumper, Remote keyless entry, Remote Start System, Security system, Single Disc Remote CD Player, SIRIUSXM Satellite Radio, SIRIUSXM Traffic, SIRIUSXM Travel Link, Speed control, Split folding rear seat, Spray In Bedliner, Steering wheel mounted audio controls, Tachometer, Tilt steering wheel, Tip Start, Traction control, Trailer Brake Control, Tri-Fold Tonneau Cover, Trip computer, Turn signal indicator mirrors, Uconnect Access, Variably intermittent wipers, Ventilated Front Seats, Ventilated front seats, Voltmeter, and Wheel to Wheel Side Steps. When you’re looking for a new or pre-owned vehicle, you want to shop at the best car dealer. At Artioli Chrysler Dodge Ram, we take pride in being the best in the business while making customer satisfaction our number one goal. We offer a wide range of new, pre-owned, and commercial vehicles to suit your needs, and our knowledgeable staff is ready to help you make the perfect selection. CARFAX One-Owner. Clean CARFAX. Certified. Anti-Spin Differential Rear Axle, Clearance Lamps, Front Armrest w/Cupholders, I/P Mounted Auxiliary Switches, Quick Order Package 22H Laramie, Snow Chief Group, Storage Tray. 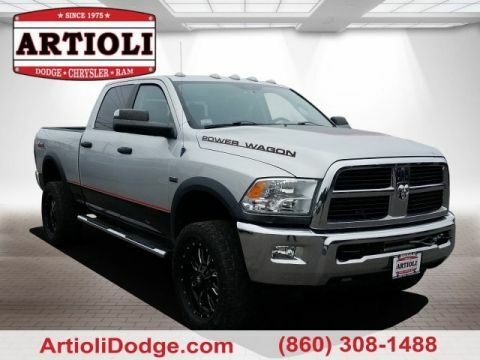 Artioli Chrysler Dodge Ram is proud to offer: Quick Order Package 22H Laramie (Front Armrest w/Cupholders and Storage Tray), Snow Chief Group (Anti-Spin Differential Rear Axle, Clearance Lamps, and I/P Mounted Auxiliary Switches), Convenience Group, FCA US Certified Pre-Owned Certified, 10 Speakers, 115V Auxiliary Power Outlet, 220 Amp Alternator, 3.73 Axle Ratio, 4-Wheel Disc Brakes, 5-Year SiriusXM Traffic Service, 8.4" Touchscreen Display, ABS brakes, Air Conditioning, Alloy wheels, AM/FM radio: SiriusXM, Audio memory, Auto-dimming door mirrors, Auto-dimming Rear-View mirror, Automatic temperature control, Brake assist, Bumpers: chrome, Chrome Bodyside Molding, Chrome Tubular Side Steps, Compass, Delay-off headlights, Driver door bin, Driver vanity mirror, Dual front impact airbags, Dual front side impact airbags, Electronic Stability Control, Emergency communication system, Front anti-roll bar, Front Center Armrest w/Storage, Front dual zone A/C, Front fog lights, Front reading lights, Fully automatic headlights, Garage door transmitter, Heated door mirrors, Heated Front Seats, Heated front seats, Heated steering wheel, Illuminated entry, Keyless Enter-N-Go, Leather steering wheel, Leather Trim 40/20/40 Bench Seat, LED Bed Lighting, Low tire pressure warning, Manufacturer's Statement of Origin, Media Hub (USB, AUX), Memory seat, Occupant sensing airbag, Outside temperature display, Overhead airbag, Overhead console, Panic alarm, Passenger door bin, Passenger vanity mirror, Power Adjustable Pedals w/Memory, Power door mirrors, Power driver seat, Power Folding Chrome Trailer Tow Mirrors, Power passenger seat, Power steering, Power Sunroof, Power windows, Radio data system, Radio: Uconnect 3C Nav w/8.4" Display, Radio: Uconnect 3C w/8.4" Display, Rear seat center armrest, Rear step bumper, Rear Window Defroster, Remote keyless entry, Remote Start System, Security system, Speed control, Split folding rear seat, Steering wheel mounted audio controls, Tachometer, Tilt steering wheel, Traction control, Trip computer, Turn signal indicator mirrors, Variably intermittent wipers, Vendor Painted Cargo Box Tracking, Ventilated front seats, Voltmeter, and Wheels: 18" x 8.0" Polished Aluminum. When you’re looking for a new or pre-owned vehicle, you want to shop at the best car dealer. At Artioli Chrysler Dodge Ram, we take pride in being the best in the business while making customer satisfaction our number one goal. We offer a wide range of new, pre-owned, and commercial vehicles to suit your needs, and our knowledgeable staff is ready to help you make the perfect selection. Clean CARFAX. 4WD, ABS brakes, Alloy wheels, Compass, Electronic Stability Control, Illuminated entry, Low tire pressure warning, Remote keyless entry, SYNC Voice Activated Communication & Entertainment, Traction control. Artioli Chrysler Dodge Ram is proud to offer: GVWR: 7,350 lbs Payload Package, 4WD, ABS brakes, Alloy wheels, Compass, Electronic Stability Control, Illuminated entry, Low tire pressure warning, Remote keyless entry, SYNC Voice Activated Communication & Entertainment, Traction control, 4 Speakers, 4.2" LCD Productivity Screen in Instrument Cluster, 4-Wheel Disc Brakes, Air Conditioning, AM/FM radio: SiriusXM, Auto-dimming Rear-View mirror, Bumpers: body-color, CD player, Cloth Bucket Seats, Delay-off headlights, Driver door bin, Driver vanity mirror, Dual front impact airbags, Dual front side impact airbags, Electronic Locking w/3.55 Axle Ratio, Front anti-roll bar, Front Bucket Seats, Front Center Armrest, Front fog lights, Front reading lights, Front wheel independent suspension, Fully automatic headlights, Leather Shift Knob, Leather steering wheel, MP3 decoder, Occupant sensing airbag, Outside temperature display, Overhead airbag, Overhead console, Panic alarm, Passenger door bin, Passenger vanity mirror, Power door mirrors, Power driver seat, Power steering, Power windows, Radio data system, Radio: AM/FM Stereo/Single-CD Player w/Clock, Rear reading lights, Rear step bumper, Rear window defroster, Security system, SiriusXM Satellite Radio, Speed control, Speed-sensing steering, Split folding rear seat, Steering wheel mounted audio controls, SYNC MyFord, Tachometer, Telescoping steering wheel, Tilt steering wheel, Trip computer, and Variably intermittent wipers. When you’re looking for a new or pre-owned vehicle, you want to shop at the best car dealer. At Artioli Chrysler Dodge Ram, we take pride in being the best in the business while making customer satisfaction our number one goal. We offer a wide range of new, pre-owned, and commercial vehicles to suit your needs, and our knowledgeable staff is ready to help you make the perfect selection. Recent Arrival! Clean CARFAX. 4WD, ABS brakes, Electronic Stability Control, Illuminated entry, Low tire pressure warning, Remote keyless entry, Traction control. 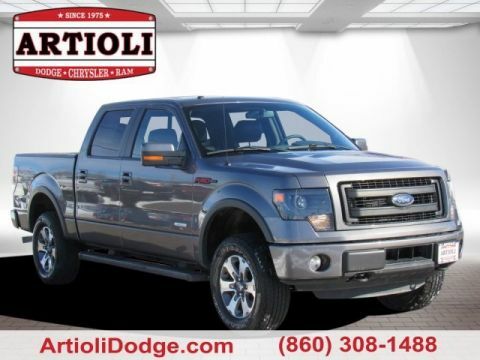 Artioli Chrysler Dodge Ram is proud to offer: 4WD, ABS brakes, Electronic Stability Control, Illuminated entry, Low tire pressure warning, Remote keyless entry, Traction control, 16" x 7J+30 Style Steel Disc Wheels, 6 Speakers, Air Conditioning, AM/FM radio: SiriusXM, Anti-whiplash front head restraints, Axle Ratio: 3.91, Brake assist, Bumpers: body-color, CD player, Driver door bin, Dual front impact airbags, Dual front side impact airbags, Exterior Parking Camera Rear, Fabric Seat Trim (FC), Front anti-roll bar, Front Bucket Seats, Front Center Armrest, Front fog lights, Front reading lights, Front wheel independent suspension, Knee airbag, Occupant sensing airbag, Outside temperature display, Overhead airbag, Overhead console, Panic alarm, Passenger cancellable airbag, Passenger door bin, Power steering, Power windows, Radio: Entune Plus AM/FM/CD w/Connected Navigation, Rear step bumper, Speed control, Speed-sensing steering, Steering wheel mounted audio controls, Tachometer, Telescoping steering wheel, Tilt steering wheel, Trip computer, and Variably intermittent wipers. When you’re looking for a new or pre-owned vehicle, you want to shop at the best car dealer. At Artioli Chrysler Dodge Ram, we take pride in being the best in the business while making customer satisfaction our number one goal. We offer a wide range of new, pre-owned, and commercial vehicles to suit your needs, and our knowledgeable staff is ready to help you make the perfect selection. CARFAX One-Owner. Clean CARFAX. Priced below KBB Fair Purchase Price! Odometer is 2033 miles below market average! 4WD, ABS brakes, Compass, Electronic Stability Control, Illuminated entry, Low tire pressure warning, Remote keyless entry, Traction control. Artioli Chrysler Dodge Ram is proud to offer: 4WD, ABS brakes, Compass, Electronic Stability Control, Illuminated entry, Low tire pressure warning, Remote keyless entry, Traction control, 4-Wheel Disc Brakes, 6 Speakers, Air Conditioning, AM/FM radio, Brake assist, Bumpers: chrome, CD player, Delay-off headlights, Driver door bin, Driver vanity mirror, Dual front impact airbags, Dual front side impact airbags, Emergency communication system: 911 Assist, Front anti-roll bar, Front Center Armrest w/Storage, Front fog lights, Front reading lights, Front wheel independent suspension, Fully automatic headlights, Occupant sensing airbag, Outside temperature display, Overhead airbag, Panic alarm, Passenger door bin, Passenger vanity mirror, Power door mirrors, Power steering, Power windows, Radio data system, Radio: AM/FM Stereo/Single-CD Player, Rear reading lights, Rear step bumper, Security system, Speed control, Speed-sensing steering, Split folding rear seat, Steering wheel mounted audio controls, SYNC, Tachometer, Telescoping steering wheel, Tilt steering wheel, Variably intermittent wipers, Voltmeter, and Wheels: 17" Silver Painted Aluminum. When you’re looking for a new or pre-owned vehicle, you want to shop at the best car dealer. At Artioli Chrysler Dodge Ram, we take pride in being the best in the business while making customer satisfaction our number one goal. We offer a wide range of new, pre-owned, and commercial vehicles to suit your needs, and our knowledgeable staff is ready to help you make the perfect selection. Recent Arrival! CARFAX One-Owner. Clean CARFAX. Odometer is 2722 miles below market average! 6-Speed Automatic Electronic with Overdrive, 4WD, jet black Cloth, ABS brakes, Alloy wheels, Compass, Electronic Stability Control, Heated door mirrors, Illuminated entry, Low tire pressure warning, Remote Keyless Entry, Remote keyless entry, Single Slot CD/MP3 Player, Traction control. 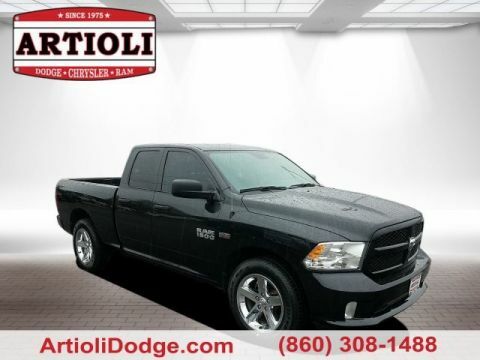 Artioli Chrysler Dodge Ram is proud to offer: 6-Speed Automatic Electronic with Overdrive, 4WD, jet black Cloth, ABS brakes, Alloy wheels, Compass, Electronic Stability Control, Heated door mirrors, Illuminated entry, Low tire pressure warning, Remote Keyless Entry, Remote keyless entry, Single Slot CD/MP3 Player, Traction control, 150 Amp Alternator, 3.42 Rear Axle Ratio, 4.2" Diagonal Color Display Driver Info Center, 40/20/40 Front Split Bench Seat, 4-Wheel Disc Brakes, 6 Speaker Audio System, 6 Speakers, Air Conditioning, AM/FM radio: SiriusXM, Bluetooth® For Phone, Body Color Bodyside Moldings, Body-Color Door Handles, Body-Color Mirror Caps, Body-Color Power Adjustable Heated Outside Mirrors, Bodyside moldings, Brake assist, CD player, Chevrolet Connected Access, Chevrolet w/4G LTE, Cloth Seat Trim, Color-Keyed Carpeting w/Rubberized Vinyl Floor Mats, Deep-Tinted Glass, Delay-off headlights, Driver & Front Passenger Illuminated Vanity Mirrors, Driver door bin, Driver vanity mirror, Dual front impact airbags, Dual front side impact airbags, Exterior Parking Camera Rear, EZ Lift & Lower Tailgate, Front anti-roll bar, Front Center Armrest w/Storage, Front Chrome Bumper, Front reading lights, Front wheel independent suspension, Fully automatic headlights, HD Radio, High-Intensity Discharge Headlights, Leather Wrapped Steering Wheel w/Cruise Controls, Manual Tilt Wheel Steering Column, Occupant sensing airbag, OnStar & Chevrolet Connected Services Capable, Outside temperature display, Overhead airbag, Overhead console, Panic alarm, Passenger door bin, Passenger vanity mirror, Power door mirrors, Power steering, Power windows, Power Windows w/Driver Express Up, Premium audio system: Chevrolet MyLink, Radio data system, Radio: AM/FM 8" Diagonal Color Touch Screen, Rear 60/40 Folding Bench Seat (Folds Up), Rear Chrome Bumper, Rear reading lights, Rear seat center armrest, Rear step bumper, Rear Wheelhouse Liners, Remote Locking Tailgate, SiriusXM Satellite Radio, Speed control, Speed-sensing steering, Split folding rear seat, Steering Wheel Audio Controls, Steering wheel mounted audio controls, Tachometer, Tilt steering wheel, Trip computer, Variably intermittent wipers, and Voltmeter. When you’re looking for a new or pre-owned vehicle, you want to shop at the best car dealer. At Artioli Chrysler Dodge Ram, we take pride in being the best in the business while making customer satisfaction our number one goal. We offer a wide range of new, pre-owned, and commercial vehicles to suit your needs, and our knowledgeable staff is ready to help you make the perfect selection. CARFAX One-Owner. Clean CARFAX. Odometer is 5655 miles below market average! 4WD, ABS brakes, Alloy wheels, Compass, Electronic Stability Control, Emergency communication system, Front dual zone A/C, Heated door mirrors, Illuminated entry, Low tire pressure warning, Remote keyless entry, Traction control. 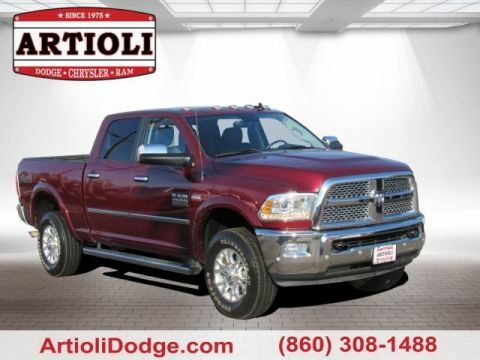 Artioli Chrysler Dodge Ram is proud to offer: GVWR: 10,000 lb Payload Package, 4WD, ABS brakes, Alloy wheels, Compass, Electronic Stability Control, Emergency communication system, Front dual zone A/C, Heated door mirrors, Illuminated entry, Low tire pressure warning, Remote keyless entry, Traction control, 10 Speakers, 110V/400W Outlet, 3.73 Axle Ratio, 4-Wheel Disc Brakes, Adjustable pedals, Air Conditioning, AM/FM radio: SiriusXM, Auto-dimming Rear-View mirror, Automatic temperature control, Brake assist, Bumpers: chrome, CD player, Delay-off headlights, Driver door bin, Driver vanity mirror, Dual front impact airbags, Dual front side impact airbags, Exterior Parking Camera Rear, Flow-Through Console, Front anti-roll bar, Front Bucket Seats, Front Center Armrest, Front fog lights, Front Leather Seating Surfaces 40/Console/40, Front reading lights, Fully automatic headlights, Leather steering wheel, Outside temperature display, Overhead airbag, Overhead console, Panic alarm, Passenger door bin, Passenger vanity mirror, Power door mirrors, Power driver seat, Power passenger seat, Power steering, Power windows, Radio data system, Radio: Premium Sony Audio w/Single-CD/MP3 Player, Rear Parking Sensors, Rear reading lights, Rear seat center armrest, Rear step bumper, Rear window defroster, Security system, SiriusXM Radio, Speed control, Split folding rear seat, Steering wheel mounted audio controls, SYNC 3 Communications & Entertainment System, Tachometer, Telescoping steering wheel, Tilt steering wheel, Trip computer, Turn signal indicator mirrors, and Variably intermittent wipers. When you’re looking for a new or pre-owned vehicle, you want to shop at the best car dealer. At Artioli Chrysler Dodge Ram, we take pride in being the best in the business while making customer satisfaction our number one goal. 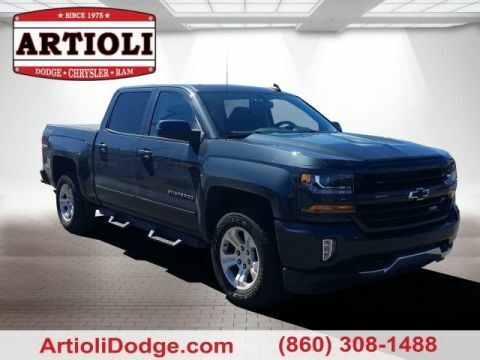 We offer a wide range of new, pre-owned, and commercial vehicles to suit your needs, and our knowledgeable staff is ready to help you make the perfect selection.